This video and calendar was very informative for me and my family and friends. We thank you so much for all of your teachings and the Calendar. Also the materials for children. Thanks so much for this calendar. The hard work that your family puts in to this site is evident, and our family is constantly blessed as a result of your efforts. All praises to the Most High on your gifts that you've shared! Great work brother. Much blessings to you. Jubilees 6:32-38 also supports this Hebrew Calendar. This is absolutely amazing. I love you guys. Thank YAH for you daily. Your Kingdom Preppers series is a blessing to my life and my family. Shalom. 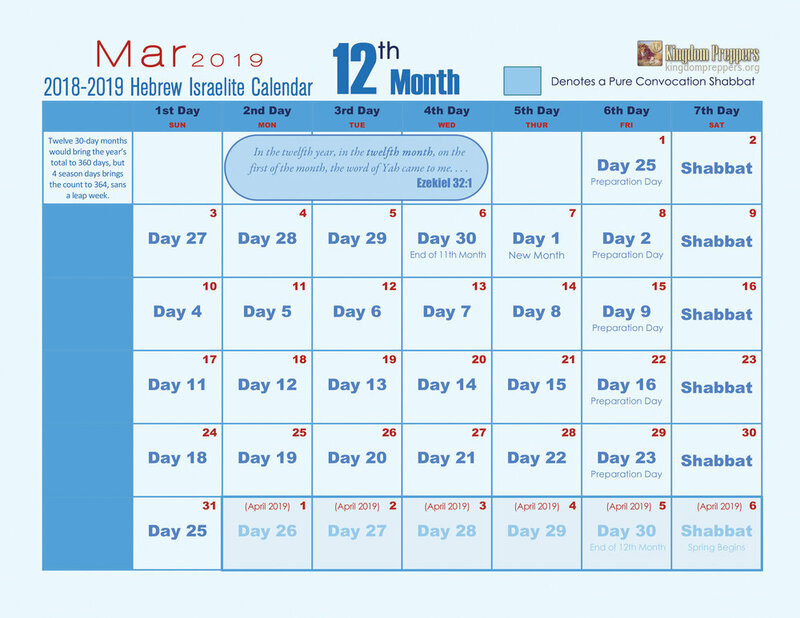 Thank you so much for the Hebrew Calendar Video. It was so informative! Praise Yah for using you to teach Israel! Todah Rabah! Thank you for thorough research on the subject and excellent dedication to put this work together. 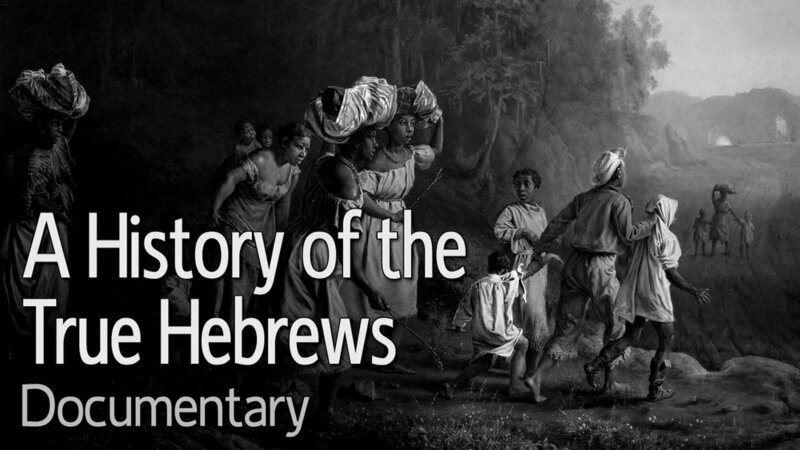 Awesome study and breakdown on the Hebrew Calendar video. This calendar thing is definitely one of the most confounding things in the nation. Thank The Most High for Saints like you and your team. You're much appreciated. I think it's great how you have been able to break down the days according to Yah's word. Great tool for studying. I appreciate the expansion of this information for my hunger and thirst so I can observe the true only days. I thank Yahawah for using your diligence to help Israel understand and do his will. Thanks beloved and MOST HIGH'S blessings upon you. SHALOM!! Love this calendar. Thank you! My family and myself are thankful for the efforts put forth by all involved in our restoration process. Thank you from the Benyahmin Yahawadah family. I will have to re-read and study your reasoning for the calendar, but it looks promising as a way to unite Torah followers among our people. The calenders and videos are great. You have helped me a lot in my faith and as I come into the truth, so thank you and may the Most High YAH Bless you and your family. Oh my goodness! I've been waiting on this one! 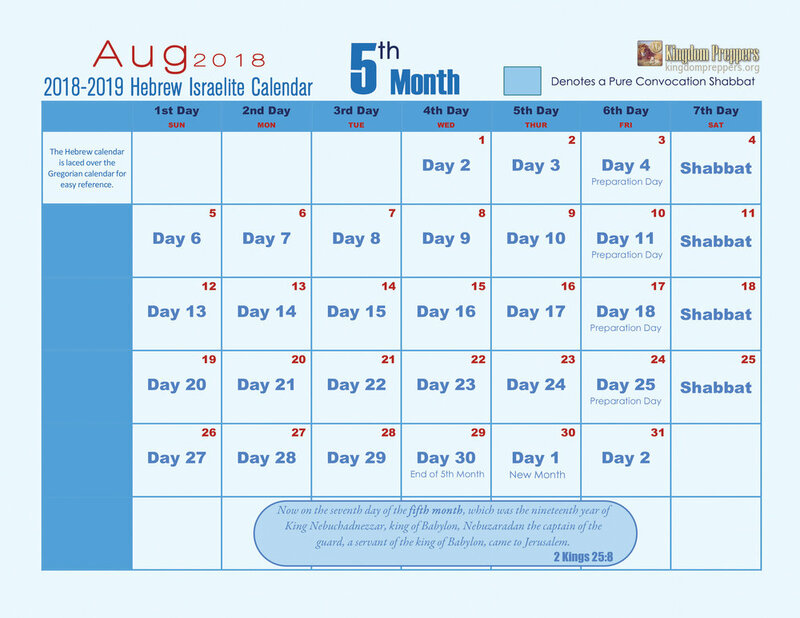 I printed the calendar you provided for last year and refereed to it often in my study time and for true Hebrew observation days. And now I have the calendar for 2018. Thank you SO much for taking the time to put this together for us. May the Most High continue to bless you and your family. Very nice. It's good to be able to keep up with our days of celebration. Thank you. Have been looking for this for a very long time. You are the first that has put this out. Very, very enlightening. This is so helpful in getting us closer to alignment with our wonderful, admirable Elohim Yah. May [He] continue blessing you in wisdom and piety for his glory and the benefit of His people. Hello brother, shalom to you. I have used your digital [calendar] for the past year and it helped me greatlly. Thank you. What a blessing for us Israelites. Shalom! Thank you! I’m a newly awaken sister and with all my heart I want to keep Yah's statues and commandments and I think this calendar will help. 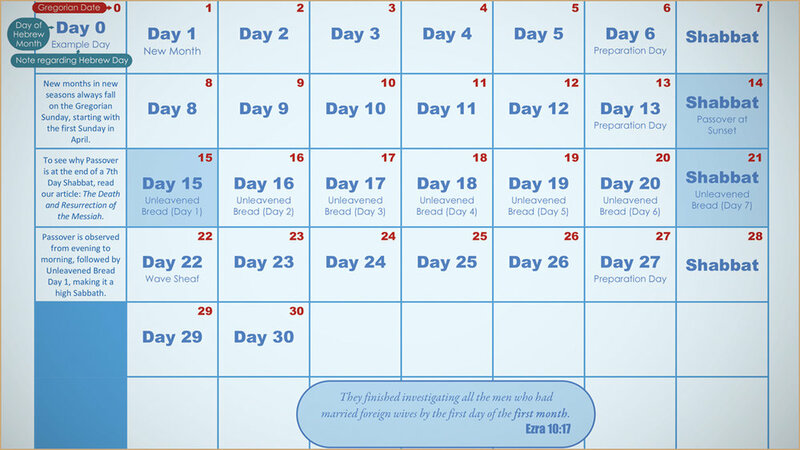 Your calender appears to be the closest, based on the scriptures. Thanks so much not only for the calendar but all of what you do! I'm so happy to have found this calendar. I have been looking for an accurate calendar and I know I have found it. Thanks again. Hello Friends. Firstly I come in Peace, also I'm from Yapeth. Unfortunately I can't even remotely comprehend what you beautiful people have gone through, and still going through. I can only send words with Love and Kindness. May the True Hebrew Israelites find their voice in this world which is controlled by people who hate our Heavenly Father. 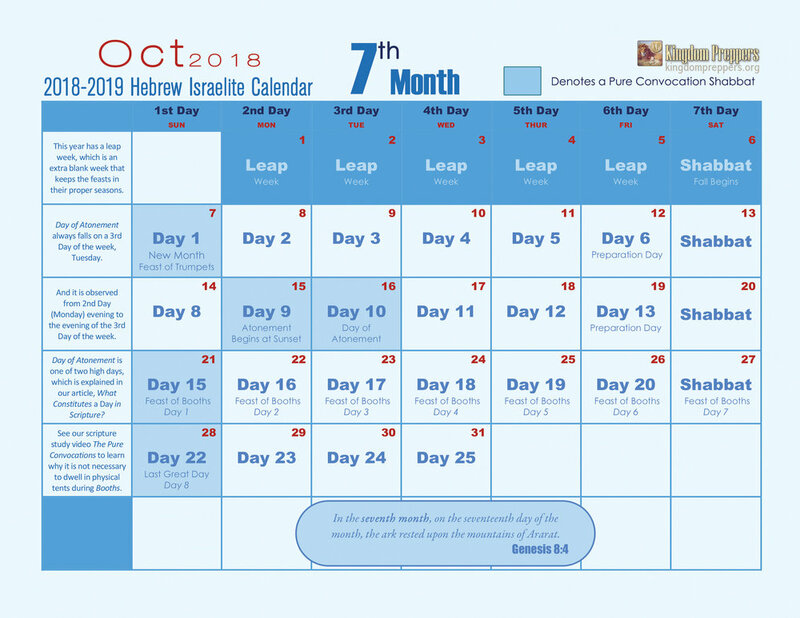 Thank You for the Hebrew Israelite Calendar. Shalom. My family thanks you for the Israelite calendar. It has helped us to conform to the high days. We are new to the teaching of Yah but with his help and guidance we will win. All praises to the Most High. Shalom Family. It is necessary for those of us finding our way back into YAH's true light. Thank you [very] much for the work that you have put into making this calendar available. Praise Yah for KP. I am coming up on 3 years in my walk with Yahuah in His Torah. It has been an eventful walk! My husband is about 9 months into his walk. One of the things we both had our eyes opened to this past year or so was the issue of the Khazars. It bothered me that I was following a calendar that was saturated with Babylonian influence and now I know why. I have studied so many different calendars that have all left gaping holes and questions for me. None of them sat right with me. My husband was leaning on wanting to study the calendar in Enoch, but I struggle with the 18-hour total day when we can physically see a total day which is much closer to 24. Then I came across your calendar today. It is the first calendar that I have been able to understand in its entirety. If there is one thing I have learned it is that Yah keeps things simple! Thank you for your obedience to Yah with your time and efforts and all you do as a ministry. I pray Yah blesses you and yours greatly. Shalom! I just want to say thank you, because I didn't know whether to honor Passover on the 30th of March or April 14th and 15th. I got up this morning and I prayed about it and before I knew it I was looking at my phone and I believe I saw a notification for your video and I thank Yah for answering my prayers because I did not know what to do, so thank you again. Shalom.